Charles Milles Manson, the criminal and cult leader who formed what became known as the Manson Family, has died aged 83. The notorious cult leader directed his followers to commit a string of brutal murders and became a symbol of the dark side of 1960s counterculture. Charles Manson was admitted to Bakersfield hospital, California, earlier this month and died of natural causes on November 19. In 1969, the Manson Family killed nine people. Among the victims of the killing spree was heavily pregnant actress Sharon Tate, wife of Roman Polanski. One of Charles Manson’s young followers, Susan Atkins, stabbed Sharon Tate to death and scrawled “PIG” on the home’s front door with the actress’s blood. Four other people at Sharon Tate’s home were brutally stabbed to death. The next day, a wealthy couple in Los Angeles, Leno and Rosemary LaBianca, were also killed by the clan. The killings became known collectively as the Tate-LaBianca murders. Separately Donald Shea, a Hollywood stuntman, and Gary Hinman, an acquaintance of the group, were killed by members of Charles Manson’s followers. Charles Manson was not at the scene of the killings, but was nonetheless convicted of murder for directing his followers in seven of the killings. He was sentenced to death in 1971. He “died of natural causes at 8:13 pm on Sunday” at a hospital in Kern County, the California Department of Corrections said in a statement. He had been in custody for more than 40 years. Sharon Tate’s sister, Debra told the TMZ that she had received a phone call from prison officials shortly after Charles Manson’s death. Gathering young followers around him in the late 1960s, Charles Manson claimed to believe in a coming race war in America. He planned to hasten the war and emerge as the leader of a new social order – a vision he nicknamed “Helter Skelter”, after a Beatles song he became obsessed with. Prosecutors argued that Charles Manson hoped black Americans would be blamed for the Tate-LaBianca killings, heightening racial tensions. Charles Manson convinced a number of his followers that he was the reincarnation of Jesus Christ, using a combination of drugs and genuine charisma to bring the “Family” – mainly young, middle-class women – under his control. Before Charles Manson’s death sentence could be carried out, California outlawed capital punishment and his sentence was reduced to nine life sentences. Over the course of his four decades in prison, Charles Manson applied for parole 12 times. The last attempt was turned down by the parole board in 2012. 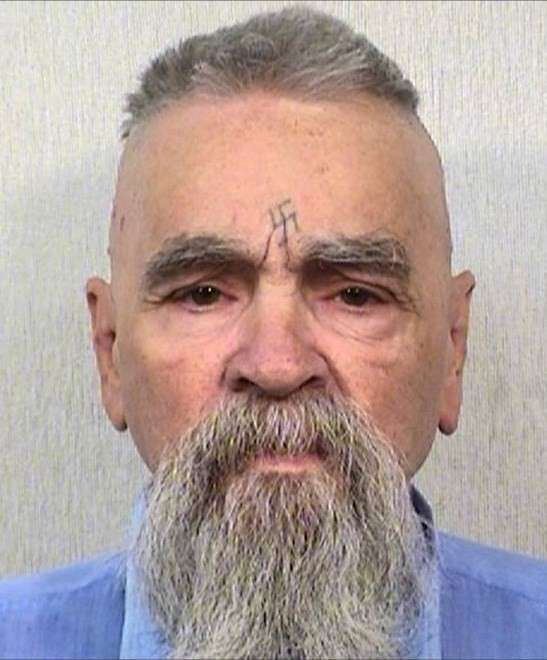 In 2014, Charles Manson was granted a marriage license to wed a 26-year-old woman who said she loved him, but the license expired and the marriage did not go ahead. Almost half a century on, the Manson Family’s killing spree continues to fascinate many Americans, and has been retold through books, movies and music.